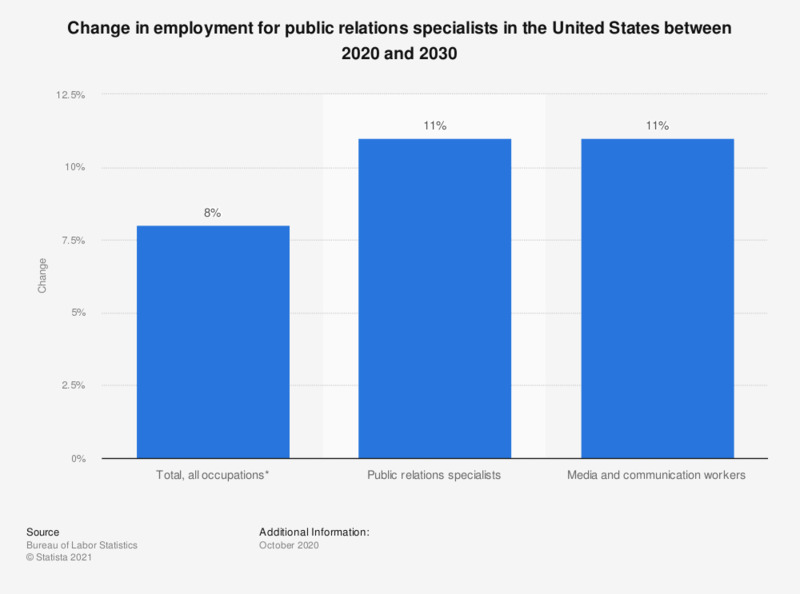 This statistic shows the predicted percent change in employment of public relations specialists as compared to the employment of media and other workers in the United States between the years 2014 and 2024. The Bureau of Labor Statistics projected that the employment of public relations specialists would increase by six percent in those ten years. * Total, all occupations includes all occupations in the U.S. economy, not just the occupations listed above.